What is a livestream anyway? A livestream is a live video event that takes place online. In essence, it’s the internet equivalent to a live television program. YouTube has allowed creators to host livestreams since 2011, and in recent years other platforms like Facebook have also adopted the feature. Some sites are even dedicated primarily to livestreaming, such as Twitch. The most popular livestreaming platforms are built to encourage audience participation in the event. Chat rooms are included on the video page, where viewers can communicate directly with you or each other. Now that you understand what a livestream is and how it can benefit your business, it’s time to learn how to livestream on YouTube. We highly recommend recording a test livestream with the viewer settings on “Private” before you host any events for your audience. This will help you understand the process, and give you time to troubleshoot any tech issues before you’re “on air”. YouTube used to require creators to download an encoding program before they could livestream. In March 2018 they made livestreaming easier, creating a camera button beside the search bar that creators could use to go live immediately. Once you click on the camera button, you’ll be given the option to either upload a video or go live. Choose “Go Live” and you’ll be taken to a new page. The first time you do this, YouTube will ask for permission to use your webcam and microphone. You will not have to repeat this step unless you stream with a different webcam. After a moment, YouTube will start receiving information from your devices. Once YouTube has access to your devices, you’ll see a black and white version of what’s streaming. In the center of the page, you’ll see a box that allows you to enter information about your stream. You’ll also notice that this box includes a built-in scheduling tool. The only required information for your livestream is a title and the visibility setting (public, private, etc.). However, this doesn’t give potential viewers much information when they stumble across your stream. To add more information, click “More Options”. Now you’ll have the option to add a description, select a category for your livestream, and access the scheduling tool. Remember to incorporate SEO into your description and to include any links you want to draw attention to. YouTube uses Hangouts on Air to allow streams with multiple sources. These are ideal for things like interviews and panel discussions. Like regular one-person streams, you can choose to schedule these in advance or to go live right away. 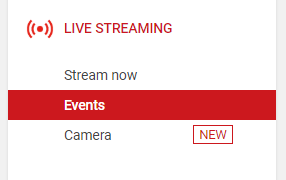 To create an event, you must go to the Live Streaming section of the Creator Studio. Choose the “Events” option in the sidebar. Here, you’ll have the opportunity to enter a title and description, enter some appropriate tags, and choose your privacy settings. You can also schedule the event to occur at a later date or choose to start streaming immediately. Once you go live, a Google Hangout window will open. From there, you can invite guests to join your channel. Now that you understand how to livestream on YouTube, you can start hosting your own events. But in today’s highly competitive YouTube market, you can’t work with a “build it and they will come” strategy – and you certainly can’t assume that people will stay just because you’re there. You need to create a compelling livestream to convince your viewers to watch until the end. When possible, you want to troubleshoot technical difficulties before you’re live. An easy way to do this is to run a private stream when you first connect your webcam to YouTube. You can send a friend the private link to make sure it’s working for other people, but random visitors to your YouTube channel won’t be able to see it. You should run this test some hours before live events. You also want to do an equipment test a few minutes before your show begins. This gives you time to fine-tune your settings before your audience arrives. Most fans will forgive you if your equipment dies and cuts a livestream short, but if you can afford to, invest in some backup equipment. This will ensure that your livestream is able to continue if it’s interrupted by your camera or microphone breaking down. Pick up an affordable livestreaming camera with a decent built-in microphone for emergencies. Your audience will understand if the quality’s a bit lower than normal, and be thrilled that you found a way to continue the stream. One of the key draws of YouTube livestreams is the potential for viewers to interact directly with creators in real time. Many creators use livestreams for Q&A sessions to further encourage this type of interaction. You don’t have to do something so direct, but make sure your topic is something your target audience is passionate enough about to weigh in on. Livestreams are meant to grow into an organic conversation, but you need to start and direct that conversation. Script at least 1-2 minutes, including an introduction to yourself and your topic. If you’re nervous about your livestream, you can script as much as five minutes, giving yourself time to get used to the stream before you really interact with viewers. If you’re doing a Q&A, get 3-5 questions in advance, even if you have to get them from your employees. This will give you content to start the stream smoothly, and time for the first few viewer questions to come in. If you’re working with guests, explain the format of the video in advance. Send them any questions you’re planning to ask them before you stream. This will give your guests the same opportunity to get used to the livestream before they have to interact with anyone. This is especially important if your guests don’t have previous experience with how to livestream on YouTube. Proper hydration is key to speaking well in front of an audience. At the very least, you’ll want it nearby so you can have a few sips before and after the livestream. For longer livestreams (really anything more than 10 minutes) you’ll want a larger glass of water so you can take sips during the stream. The first few times you livestream you’re bound to feel a little nervous. You might notice yourself speaking faster or jumbling words together. Slow down. Take a deep breath. Speak clearly, and take the time to pronounce your words correctly. If people can’t understand you, they’ll leave, regardless of how interesting your topic is or how well you’ve scripted the first section of your stream. You might want to post the occasional note in the chatroom itself, but here we’re talking about the video. Say hello to people as they enter. Answer their questions directly. Communicate with them in real time. It’s also important to keep your tone conversational, even if your usual videos aren’t. A livestream is all about that personal connection. At some point in your video, encourage people to ask relevant questions in the chatroom. You may want to do this at the beginning of your video, at the end of your script, or both. You may also want to encourage people to interact with you in other ways, like telling you where they’re from or how their day is going. This helps you establish that you’re interested in your audience, not just self promotion. YouTube will automatically turn your livestream into a regular video when you’re done. But many things that audiences will forgive in a livestream will turn them away from an ordinary video. You can use YouTube’s built in editing tools to deal with many of these issues. At the bare minimum, cut any issues early on in the stream, and any extra seconds the camera spent lingering after your final statement. You may also want to cut out any significant pauses or technical difficulties during the video. Did you enjoy your first livestream? Want to do more? 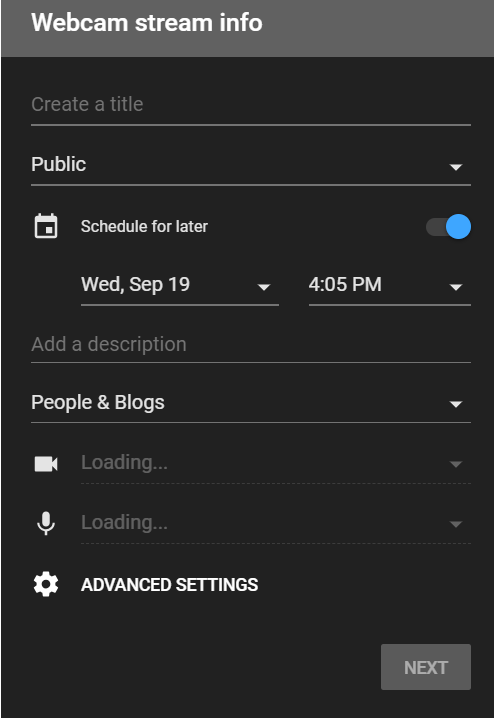 Now that you know how to livestream on YouTube, you can schedule regular streaming events and build that aspect of your channel. Try to host events on the same day each week or month so people know when to come to your channel. Once you’ve chosen a schedule, let everyone know about it. Promote your livestreams in your regular videos and on your other social media profiles using a tool like TubeBuddy. Remind people about the event on the morning of, and again an hour before you start filming. Over time, people will come to understand when they can come to your channel to interact with you in real time. The demand for live video is only going to grow as the internet spreads to encompass a truly global audience. Understand how to livestream on YouTube now and get used to interacting with your audience in real time before it becomes a requirement. You may also want to check out our guides to getting subscribers for YouTube and promoting your YouTube videos. The post How to Livestream on YouTube: A Beginner’s Guide appeared first on Revive Social.